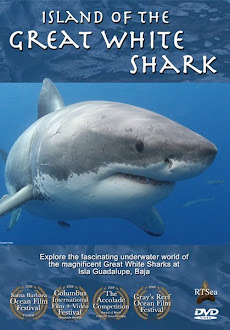 Shark Diver : Shark Diving : Swimming With Sharks: Can our loving sharks be bad for them? Can our loving sharks be bad for them? OK, lets look at what is going on. I have written about what various conservation groups are doing here. This time I want to focus on how they are doing it. Most of us are interested in shark conservation because we love sharks. This love is a powerful motivator to get us to act and and actually do something, instead of just standing on the sidelines. That same love for the sharks is also what can make our efforts ineffective. We tend to argue from the heart and demonize the ones that don't agree with us. Take this post on Eco Phuket's facebook page. It shows a spearfisherman who shot a shark, cleaning his catch. The comments range from "That is shocking behaviour bloody Neanderthal" to "We got to get this killer consumer out of the water!" How do you think this spearfisherman is going to react to being called a "Neanderthal" and "killer consumer"? Do you really think that will help him see your side and stop fishing for sharks? Movies like "The cove" show the slaughter of dolphins and pretty much chastise the Japanese for hunting dolphins. They don't just criticize the way they slaughter them, but the fact that they are killing them in the first place. How do you think the Japanese feel about the way they are portrayed in that movie? When it comes to shark fin soup, there are plenty of people who just blame the Chinese for the shark finning that is going on. Again, we are demonizing a culture and it is us (the good guys) vs. them (the bad guys) Aside from the fact that it is not just the Chinese that are to blame, ( watch the video below) it is simply not helpful. Guang Zhou Market for Sea Shepherd USA from Gary Stokes on Vimeo. I think the first thing we have to do is realize that a shark is just a fish and a dolphin is just an animal. The issue is not weather we love them or not, but rather is the taking of these animals sustainable, is the killing humane etc. To give you an example, most of you who read this are probably living in the western world and being used to its customs. So when we attack the Japanese for eating dolphins, the Chinese for eating shark fin soup and the Koreans for eating dogs, because it's just not cool to eat those animals, we don't consider what other cultures, e.g: India, must think about our custom of eating "holy cows". I know, it hurts to see a shark killed, a dolphin slaughtered or a dog eaten, but if we demonize the ones that are doing it, we won't really get them to change. It's just like in politics each side is just blaming and demonizing the other and nothing gets done. It's easy to get fellow conservationists to agree with us, but how do we get those who don't agree with us, to see our way? As painful as it might be, we actually have to seek a dialogue with those who don't see things our way. There are many individuals and organizations that get it and are doing exactly that. 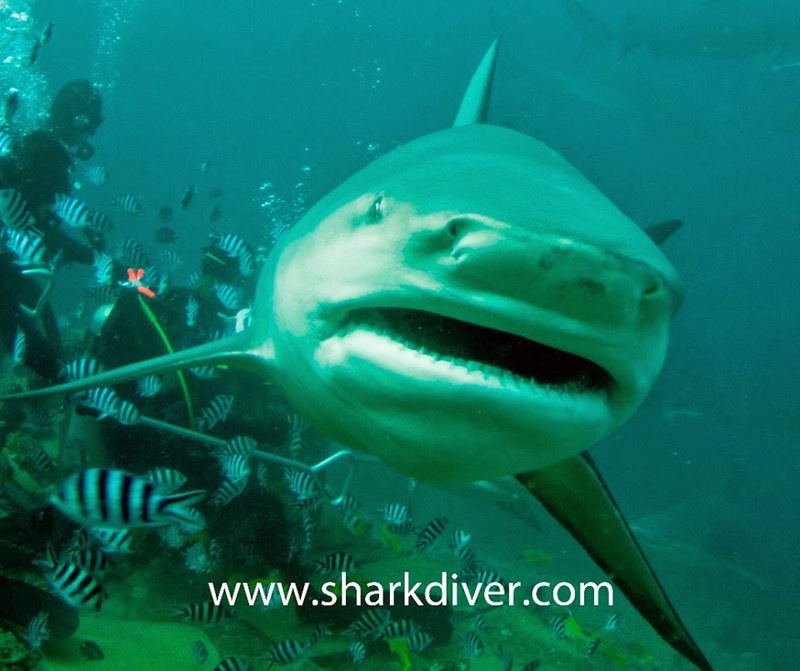 In Fiji, Beqa Adventure divers helped establish the shark reef marine reserve, which included involving 3 fishing villages who's fishermen agreed not to fish in that area in exchange for receiving a fee from all divers, diving in that area. After 10 years of protecting shark reef, a fisherman told Mike Neumann that before the shark reef marine reserve was established, he could not catch any fish from shore, but now there are plenty of fish there, a spillover effect. This is a great example of conservationist seeking a dialogue with the fishermen and working together to make changes. 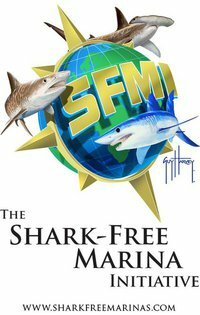 Another example is the shark friendly marinas project. By talking to marinas that are home to many sportfishermen, it got some of those marinas to agree to not allow any caught sharks to be landed there. Again, this project is relying on seeking a dialogue with those who are fishing for sharks and make them aware of the problem associated with shark fishing. Yet another example are fishing tournaments. Guy Harvey is someone well known in the fishing industry and a sponsor of many fishing tournaments. It's easy to condemn shark fishing tournaments, and demonize the fishermen participating in it. But here is how I see it. Instead of having a tournament that catches and kills the sharks, they now catch, tag and release the sharks. Is this ideal? Do all the released sharks survive? No, of course not. But it is way better than the catch and kill tournaments and it makes the fishermen involved in the conservation efforts. Also Guy Harvey, a fisherman, supports many other ocean related conservation efforts. And who would have thought that the consumption of shark fin soup in China could decline by 70%? Efforts by various groups and Chinese celebrities have turned the tide and it's no longer considered fashionable to serve shark fin soup in China. Again, education and working with a culture instead of against it, has shown results. It is perfectly fine to love and care about the sharks! I do! We just have to remember that in order to change things, we should seek a dialogue with those who don't see things our way and not just condemn and demonize them. If we only accept a world where nobody kills any sharks and we are not willing to compromise, we will never get things to change. We also have to be prepared to be attacked and ridiculed by our fellow conservationists, for working with the "enemy". Personally, if I can do something that saves just one shark, I don't care what anyone thinks. If they call me a traitor for supporting a catch and release tournament, so be it. For me it's not about the praise of my fellow shark lovers, but about saving the sharks. OK enough of my rant, I just had to get this off my chest.